South-Tek Systems has been working toward creating a network of strategic partnerships with companies in fields who can take advantage of nitrogen generating equipment to help bring our Nitrogen Generators to the market. South-Tek Systems is pleased to announce a strategic partnership with Full Line Industrial Products, a company dedicated to the petrochemical industry. Full Line Industrial Products, or FLIP, INC. for short, has been around since late 1975. They are are manufacturers' representatives with a Warehouse in the heart of the Louisiana Petrochemical industry. Chemical, Refining, Power, Gas & Oil , Paper, Plywood and Industrial Plants make up their customer base. FLIP, Inc. enjoys the challenge of finding a need, finding solutions, and standing behind the product so everyone has satisfied customers. South-Tek Systems is working hard to build a network of strategic partnerships throughout a variety of industries to help bring our Nitrogen Generator products to the market. South-Tek Systems is pleased to announce a strategic partnership with Circuit Technology, a company dedicated to circuit board related training. Circuit Technology Inc. is an IPC Master Training established in 1998 in response to the tremendous need for circuit board related training. Their current class offerings are in the JSTD-001, 7711/7721, A 610, 600 and 620 IPC programs as well as multiple custom and assembly process related curriculum. Today they have two training centers one in Raleigh, NC and the other in Clearwater, FL, with a satellite site in Baltimore, MD. The team of four full time instructors, including Spanish speaking, brings over 50 years of experience to assist customers with their training challenges. Circuit Technology is committed to providing innovative and flexible solutions to your circuit board training requirements; whether it is IPC certified programs or custom developed programs to your specifications; resulting in higher yields and maximized profits for your organization. South-Tek Systems, engineer and manufacturer of Nitrogen gas generators, is now a certified supplier at DOD EMALL, an ecommerce website exclusively for military customers and authorized government personnel. Wilmington, N.C., September 8, 2009 -- South-Tek Systems, designer and manufacturer of Nitrogen Generators, is now a certified supplier at DOD EMALL - "The First Choice Support for the Warfighter"- a service of the Defense Logistics Agency at the US Department of Defense. The DLA is the Department of Defense's largest logistics combat support agency, providing worldwide logistics support in both peacetime and wartime to the military services as well as several civilian agencies and foreign countries. DOD EMALL is an Internet based Electronic Mall, which allows military customers and other authorized government customers to search for and order items from government and commercial sources. 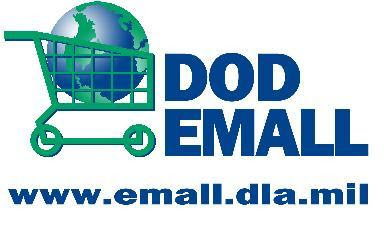 DOD EMALL is a Department of Defense program operated by DLIS and is available 24 hours a day, 7 days a week. South-Tek Systems has been supplying specially designed portable nitrogen generation systems to the Army and Marine Corps both on the front lines in Iraq and Afghanistan, and on bases throughout the world. "The process of becoming a DOD EMALL supplier took some time and persistence," says Charles Metzler, who heads up the Military/Industrial Division at South-Tek, "but we are excited at the additional accessibility to the Warfighter that it provides for our products. The N2 GEN Nitrogen Generator we have designed for military use can easily go wherever the Soldier and Marine need nitrogen gas and it is far safer and more convenient than high pressure tanks of compressed nitrogen. Our presence as a supplier on DOD EMALL will make even more military personnel aware that they have the option of generating their own nitrogen at their work site." DOD EMALL provides a secure location to shop and order NSN's and commercial items, using a powerful search engine to access product information from a wide variety of Government and Supplier managed catalogs. DOD EMALL now has over 1450 commercial catalogs with over 32 million items available to registered users. "South-Tek Systems has had a GSA contract for the last 4 years, and is listed in CCR and WebFlis" adds Metzler. "The DOD EMALL now provides a secure, encrypted method of purchase making it even easier for our military personnel to find our products and quickly get them shipped to where they are most needed." For more information, please visit http://www.SouthTekSystems.com or http://www.EMALL.dla.mil, and search for South-Tek Systems.